If you like to make your own (or now someone who can make things for you), then it might be a good idea to bookmark the David Whitehead and Sons website. Why? Because some classic midcentury textiles are being reproduced in the very near future. 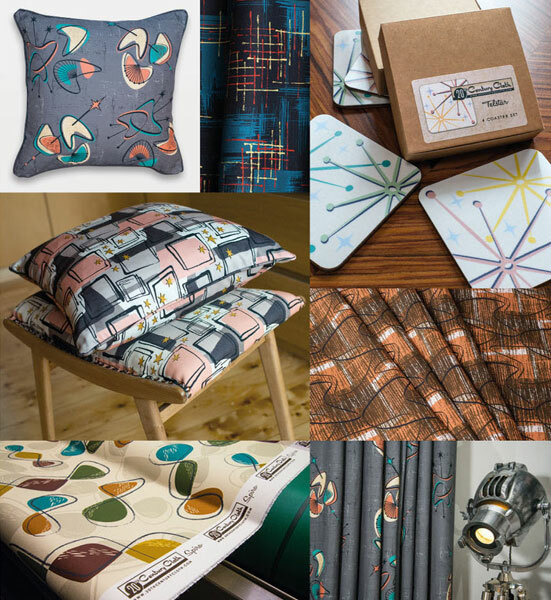 If you fancy making something out of an iconic cloth, you should check out the Underground range by Kirkby Design, which offers fabrics used on London Underground carriages in the middle of the 20th century. Whilst flicking through the current edition of Elle Decoration, I noticed a piece on the upcoming Lana MacKinnon textiles, which sadly aren't online as yet at Classic Textiles. But the work of another interesting designer is available to buy, Robert Stewart. Good news for lovers of Scandinavian midcentury design, you can now get the Picknick design by Marianne Westman as a fabric.